Madrid – Health experts have called for intensified efforts to find innovative tools to tackle vector-borne diseases, such as malaria and the Zika virus, and for more research into how to get the best out of new health products once they have become available. In a two-day conference on innovation in vector control tools, participants emphasized the critical role that innovation plays in mounting an effective global vector control response and in addressing insecticide resistance, which is undermining protective measures such as spraying of homes and sleeping under mosquito nets. 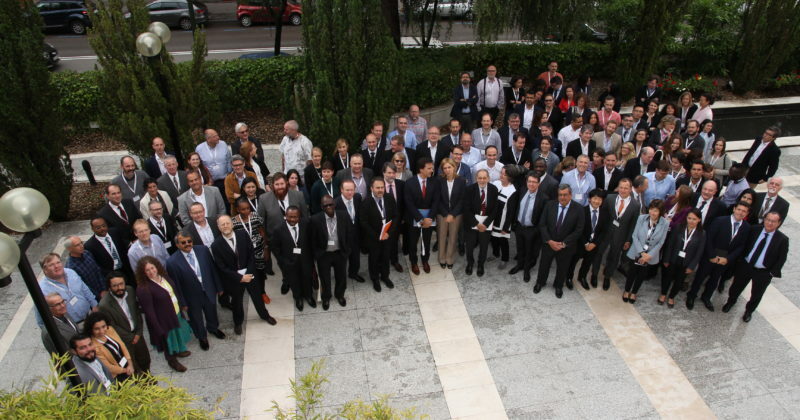 The conference brought together key stakeholders from the public health vector control community, including international organizations, funding bodies, industry, academics, policy-makers and national programme managers to discuss innovative vector control tools that are at different stages of research and development. Malaria, dengue fever, yellow fever, and neglected tropical diseases are all transmitted by “vectors” such as mosquitoes, ticks, flies and fleas. Many of these diseases, including the most deadly of them, malaria, are preventable. The persistence of malaria, which is especially lethal among children under five, and recent outbreaks of Zika virus disease and yellow fever have brought the need for new tools into sharp focus. Vector-borne diseases account for nearly one-fifth of all infectious diseases worldwide and cause more than 1 million deaths each year. Vector control encompasses a range of interventions to prevent malaria and other vector-borne diseases. Unitaid, which organized the conference in partnership with ISGlobal, the World Health Organization (WHO) and the Fundacion Ramon Areces , on Thursday launched a call inviting grant proposals for interventions to speed up development of new vector control tools to prevent malaria. Through its Calls for Proposals, Unitaid invites smart new ideas to help alleviate diseases such as HIV/AIDS, tuberculosis and malaria, and funds the most promising ones. Challenges and opportunities related to new vector control tools were discussed at the conference, including product adoption and scale-up in endemic countries. Participants also underscored the need for early research and later-stage evaluations of product efficacy and effectiveness. WHO has recently called for an accelerated scale-up of efforts to prevent malaria and save lives. In sub-Saharan Africa – which is home to 90 percent of malaria cases – more than 663 million cases have been averted since 2001 in large part due to insecticide-treated nets. Vector control has the potential to bring significant public health gains, bearing in mind an estimated 80 percent of the 663 million malaria cases averted in sub-Saharan Africa between 2001 and 2015 were due to use of long-lasting insecticide-treated nets and indoor residual spraying. Vector-borne diseases are illnesses caused by pathogens and parasites that are transmitted to humans through vectors such as mosquitoes, ticks, flies, sandflies and fleas. Each year, there are more than 1 billion cases of vector-borne diseases and over 1 million deaths globally. Many of these diseases are preventable. In 2015, there were 212 million cases and 429,000 deaths from malaria worldwide. Other vector-borne diseases such as Chagas disease, leishmaniasis and schistosomiasis affect hundreds of millions of people worldwide.